We’ve already told you in detail what a head spinning witch Camilla Parker-Bowles is being about anything related to Kate Middleton. She absolutely hates that such a “commoner” has come in and won the attention and hearts of everyone. It’s attention and respect that Camilla has never received and to say that she resents Kate would be such a huge understatement. Adding insult to injury is the fact that Prince Charles adores Kate and the two speak almost daily. According to the April 1st print edition of the GLOBE Charles is happy that his son, Prince William has found a good woman and he is over the moon with excitement over the upcoming birth of his first grandchild. At this point Charles sees that his son has grown to be a great man with a devoted wife and that is exactly the kind of example that Britain needs. 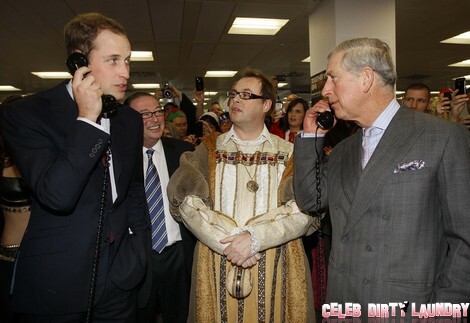 When news broke that Queen Elizabeth promised the throne to William if he produced an heir, Charles understood why. After thinking it over he is seriously contemplating stepping aside himself and in truth, it might be the most noble move of his entire life. Camilla is, of course, furious that Charles would even consider such a thing. She believes that they are destined to sit on the throne together and in her booze soaked mind it’s a form of vindication. What she doesn’t realize it seems is that a big part of the reason why Charles isn’t taken seriously is because of her bad behavior. The more that she screams and yells about the queen the more it convinces Charles to put an end to everything by simply handing the position to his son. Should Charles step aside willingly? Tell us your thoughts in the comments below!